Friends of Hospice Southwest Washington, along with other nonprofit organizations, participates in “Divine Trees,” a long-standing Vancouver, holiday tradition, formerly known as The Festival of Trees. Raffle tickets are sold for an opportunity to win a professionally decorated tree, plus a gift under the tree valued at $1000. A winner for each tree is drawn mid-December and the tree is delivered just in time for the holidays! 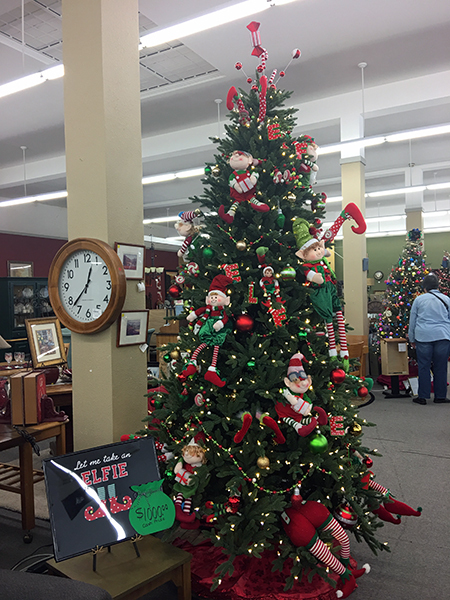 Divine Trees, sponsored by Divine Consign, kicks-off with a viewing of the beautiful Christmas trees the first Friday in November with the “Downtown Friday Art Walk.” The trees remain on display at Divine Consign, 904 Main St., Vancouver, WA, until the drawing is held. The raffle tickets can be purchased at Divine Consign or from members of Friends of Hospice Southwest Washington.